Don't let the serious cover fool you, the inside of this comic is some silly fun straight out absurd days of villains who drove clown-cars through coffee shops and terrorist organizations set up shops in pet stores. Yeah this is zany, and that's just fine. I had no idea who Lee Black was but he seems at home making fun comics that are light-hearted and fun--with this story set squarely in the X-Men's past when they were all teenagers and there were only a few of them studying under Xavier. 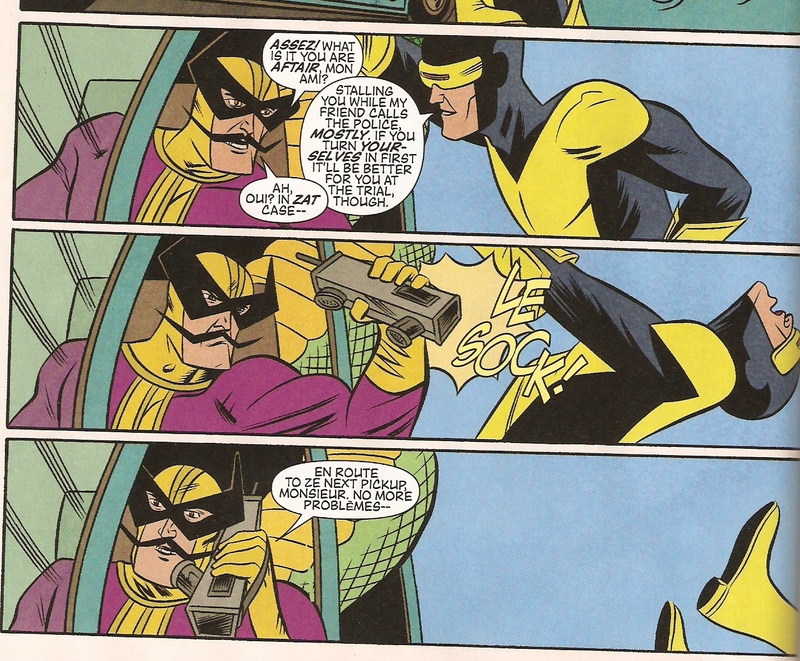 I know Dean Haspiel a bit and his art style works perfectly for the plot of this comic--cute and absurd. Plus this comic is genuinely funny. 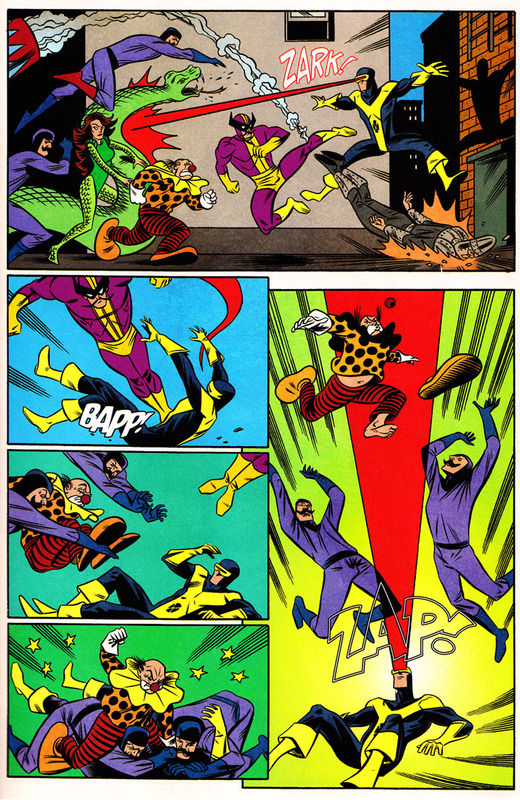 Even Batroc's sound effects have an accent! 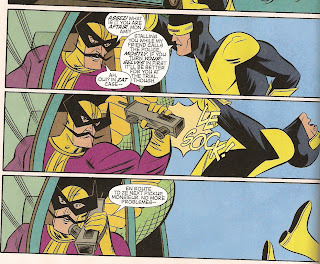 I know these days we talk about how we want comics to be serious and comment on serious issues we face today, or be grim and realistic, but there is something to be said for something like this that is just good fun. 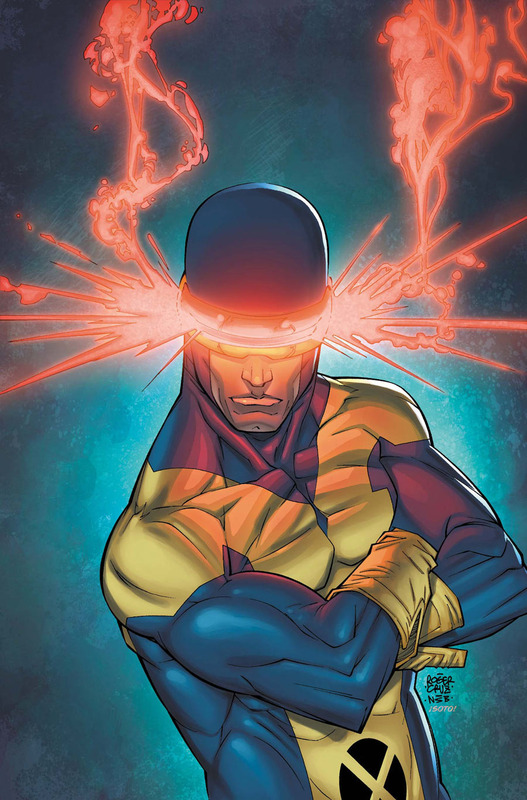 The basic plot is that a random group of bad-guys are robbing various locations for a mysterious villain and Cyclops is out trying to stop them whilst reflecting on the rest of his X-Men team commenting on his being a bit of a wet blanket. The action is good too. Overall this was a pretty great time, even if this comic didn't have some deep message or tackle a complex social issue--it was just good fun and full of laughs. I'd recommend it if you just want to have some positive fun and put a smile on your face.